My one week old mixed flock of chicks for the year. NOT as in babes, but as in the feathered kind. 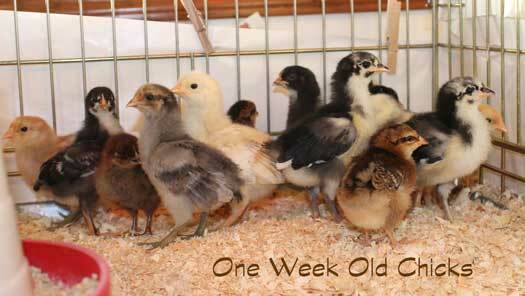 Though it was not as planned I did end up purchasing chicks this year at the local ranch supply. I bought a total of 15 baby chicks this year. I was a test of my resolve to be a little less demanding of life. I was not going to get exactly what I wanted because I refused to disrupt my life to drive 100 miles one way one day and then 100 another the next day, during the work week none the less. Instead I got part of my flock from the local store and a few days later I was out of town on business and picked up a few more birds of other varieties to round out my flock. I picked what I though was the best of what was available. No extraordinary measures this year to get the “perfect” flock. As we were looking at the bill for our flock this year RangerSir commented as he does every year, “We don’t do this to save money.” Oh so true. Chicks don’t start laying for 16 weeks if you are lucky and I have had some go as long as 26 weeks before I saw that first egg. That means all they are is eating and pooping machines while they mature. Some of them will make their way to our dinner table, others will hang around awhile laying eggs for us and our friends. There is a sort of satisfaction in growing your own food that we get that makes us go back each year and do this all over again.